When planning one of the many Western Mediterranean cruises, there are many wonderful places and cruise lines to choose from that will make your trip exciting and memorable. Whether you are looking forward to visiting Ajaccio Corsica, the birthplace of Napoleon or the Coliseum in Rome, there is much history and culture to explore. Here we have compiled a list of the top ten Western Mediterranean Cruises of 2012. 1. 5 Day Royal Caribbean Mediterranean Cruise – This cruise will depart from Barcelona and visit Pisa, Italy, Rome, Italy and Cannes, France. Starting at only about $539 per person, this is one of the best Mediterranean cruise deals. 2. 5 Day Costa Luminosa Cruise by Costa Cruises – Departing from Savona Italy, you will visit such beautiful ports of Barcelona, Ibiza and Marseille. While aboard this beautiful liner, you will be able to make use of the 4-D cinema, spa, restaurants and pool. 3. 7 Night Western Mediterranean Cruises by Costa Cruises – While aboard the Costa Concordia, guests will be able to enjoy the pool, spa, casino, three restaurants, theatre and lounge. You will visit ports of Palma de Mallorca, Cagliari, Palermo, Savona and Marseille. 4. 7 Night Western Mediterranean Cruise from Barcelona, Spain by Norwegian Cruise Lines – While aboard these luxurious ships, guests are able to enjoy the pool, spa, casino, three restaurants, theatre, comedy club and martini bar. Guests will visit such exotic places of Naples, Rome, Florence, Nice and Marseille. This is one of the best Mediterranean cruises at a price that will fit almost any budget. 5. 12-Night Western Mediterranean Cruise by Holland America – Guests will enjoy the history and culture of the ports of Monte Carlo, Florence, Rome and Greece while also enjoying the amenities aboard the ship such as indoor/outdoor pools, spa, casino, three restaurants, night clubs and entertainment. 6. 12 Night Western Mediterranean cruise from Barcelona by Princess Cruises – This is one of the best Western Mediterranean cruises. Guests will visit ports such as Monte Carlo, Florence, Naples, Rome, Greece and Turkey. While aboard the ship you will have access to 5 restaurants, a martini bar, 3 pools, fitness center and spa as well as a putting course and casino. 7. 21 Night Grand Voyage Rome to Monte Carlo hosted by Seabourn Cruises – Visitors will enjoy many ports during this three week cruise. Some of these ports include Rome, Sicily Marseille, Cannes, Monaco and Spain. There are no staterooms, only suites. Guests can also enjoy poolside massages, restaurants where tips and cocktails are included in the fare. This is one of the most luxurious Western Mediterranean cruises. 8. 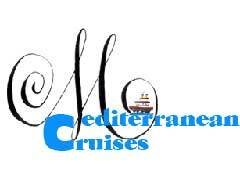 7 Night Western Mediterranean cruise – This is one of the more unique Western Mediterranean cruises. Rather than cruising on a large ship, this is more of a sailing yacht. Guests will have a choice of 142 cabins/suites. There are also 3 bars and lounges, library, shops, fitness center and spa and 3 pools. Guests will enjoy port of calls such as Spain, France and Italy. 9. 10 Night Western Mediterranean Adonia Cruise by P & O Cruises – During their ten day trip, guests will enjoy ports such as Naples, Rome, Palma, Lisbon and Great Britain. While cruising guests will be able to make use of the 8 bars, 3 restaurant and food court, card room, shops, health club and spa, salon, 2 pools and 2 whirlpools. 10. 12 Night Western by Celebrity Cruises – You will be able to enjoy many ports of calls such as Barcelona, Nice, Rome, Naples, Kotor, Montenegro, two days in Venice and Dubrovnik, Croatia. During the three days at sea, there are many things to keep you busy such as the hot glass show, fitness center and spa as well as the restaurants. Whichever of these wonderful Mediterranean cruises that you choose from, you will be able to see many of the historical cities of Europe. There are many fun and exciting things to and see during these amazing cruises.